According to Shiv Purana, Lord Shiva is said to have revealed himself to his true devotees in the form of a Jyoti or light which came to be known as Jyotirling. 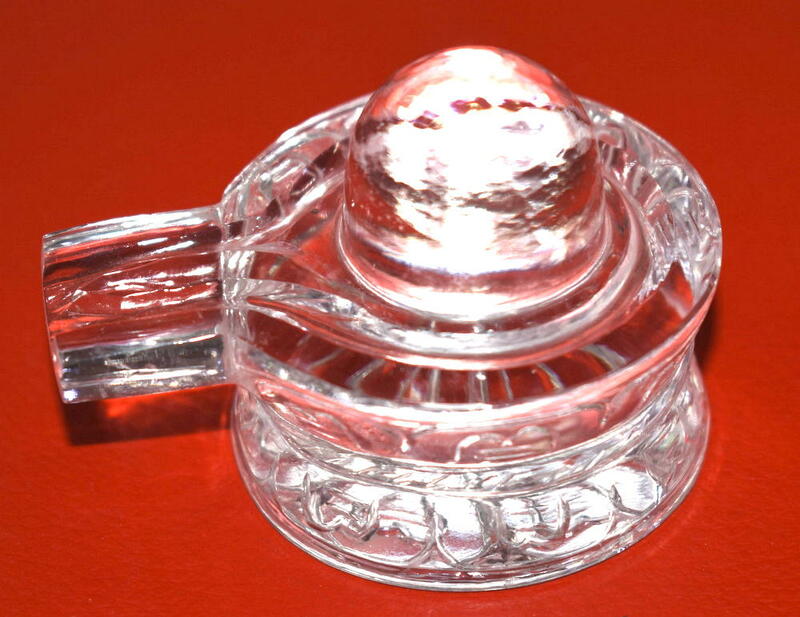 The Crystal shivling is a symbol of radiant white light energy. 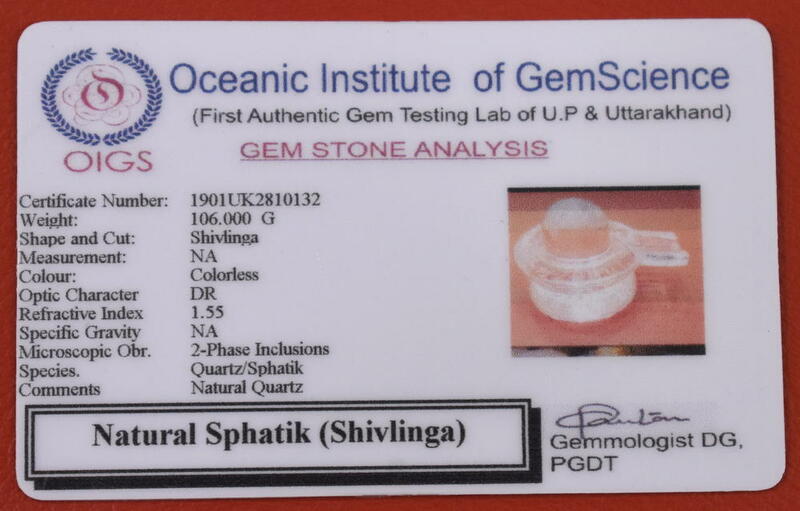 It is also believed that lord Shiva and Goddess Parvati (Shakti) live in this stone. Quartz (crystal) is a natural gemstone and has power to retain the energy of mantra chanting. 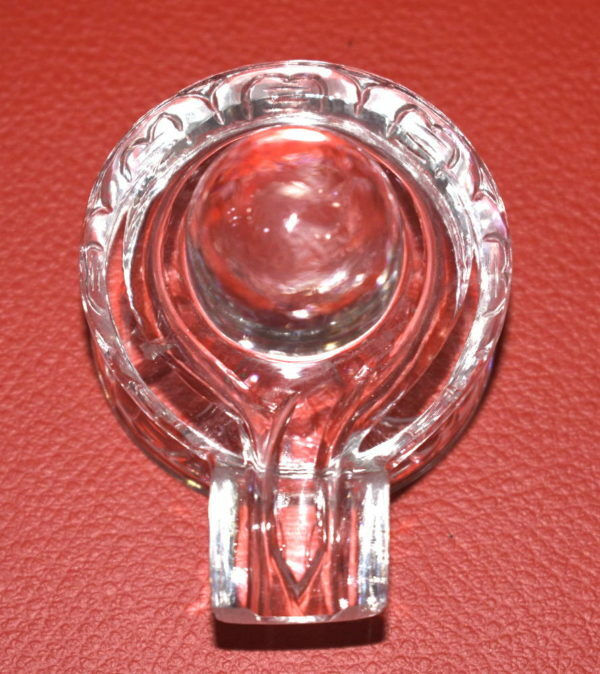 Deity idols are most popularly made using Quartz. Crystals harmonise the aura around us and removes the negative energy. 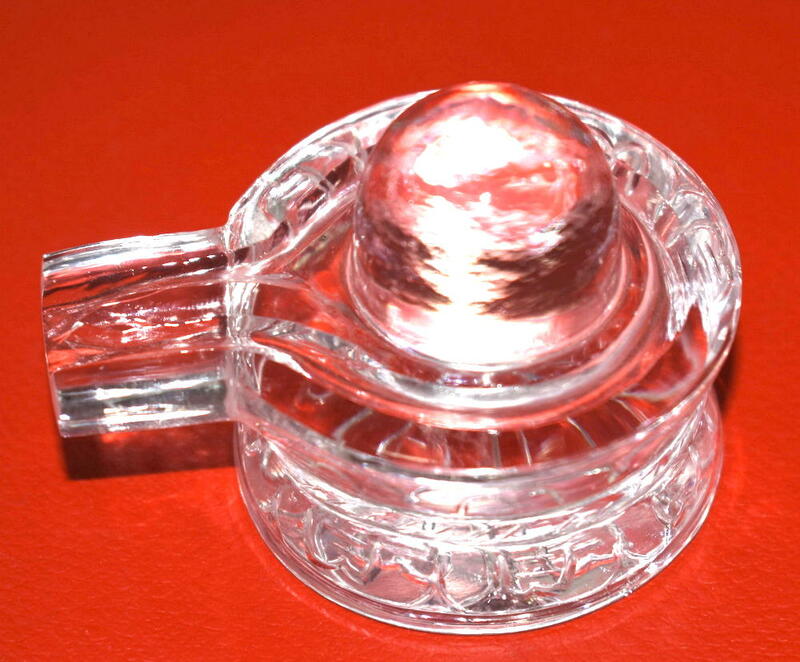 Sacred Shivalingam with snake circled around the yoni base is made natural flawless sphatik (crystal quartz) . 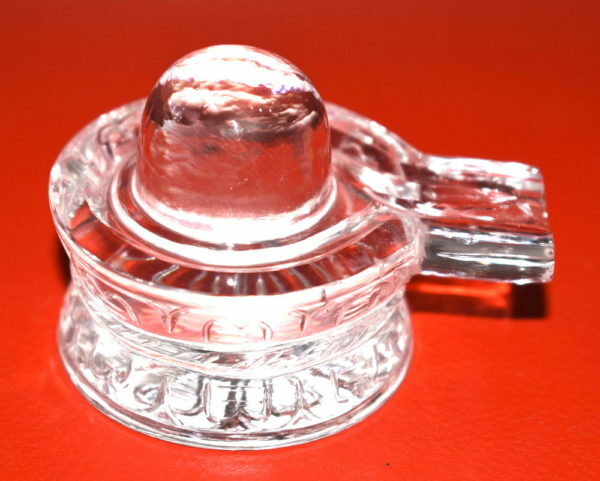 Crystal shivling harmonise the aura around us and remove the negative energy, therefore when we place this crystal shivling , in our home or office, the place is purified by the power of crystal and the blessings of lord shiva is attained. Shiva is duly worshipped in this form only doing Abhishek. Hastaabhyaam Kalashadwayaamrit Rasei-raaplaavayantam Shiro, Dwaabhyaam Tou Dadhatam Mrigaashavalaye Dwaabhyaam Vahantam Param. Ankanyast-kar-dwayaamritghatam Kailaash-kaantam Shivam, Swachhaambhojagatam. Navendumukutam Devam Trinetram Bhaje. i.e. I pray to Lord Mahamrityunjaya Shiva who holds two pots of divine elixir in his two hands, who sits on the Kailash mountain on a lotus flower and who has a moon ornamenting his forehead. Asya Shree Trayambak Mantrasya Vashishtth Rishih Anushtup Chhandah Trayambak Paarvati Patirdevataa Tram Beejam, Bam Shakti, Kam Keelakam, Mam Sarva Rog Nivritaye Sarva Kaarya Siddhaye Akaal Mrityu Nivritaye Mahaamrityunjaya Trayambak Mantra Jape Viniyogah. Then let the water flow on to the ground. Lingam prepared from natural sphatik is said to impart fame and prosperity as per Linga Purana . Shivalingam blesses the home with harmony and abundance. Worship of this connects a devotee with the Supreme Being : Lord Shiva. Each Lingam puja, step by step, takes the devotee to the eternal truth , that he/she is part of the Supreme Being. Sphatik is the purest and most auspicious gem in the world. Shivaling which is made of sphatik does not need “pran pratishtha” before worshipping. It never gets impure (ashuddha). Worshiping a sphatik shivling is considered to have same effect as worshiping the the “Jyotirlingas”. 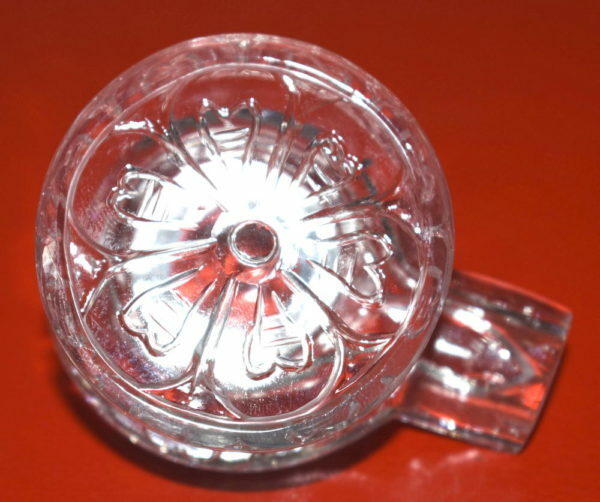 It bring prosperity, happiness and contentment to the householders where it is worshipped. 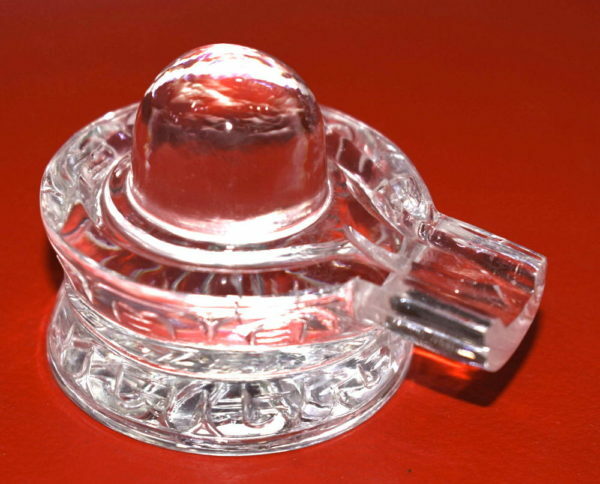 Direction : Place in altar with yoni base facing North direction , then west face of the Shivalingam represent face of shiva .